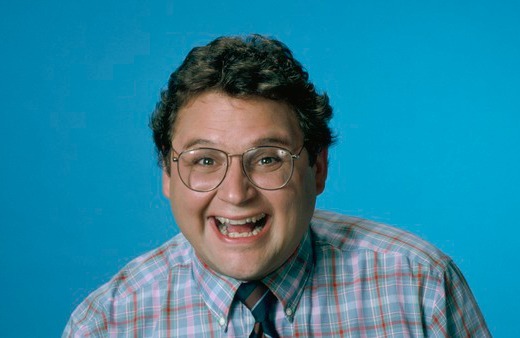 US actor Stephen Furst, best known for Animal House, St. Elsewhere and Babylon 5, has died, aged 62. A spokesperson said he died from complications related to diabetes. Furst got his first big break in 1978, in National Lampoon’s Animal House as the lovable Delta pledge Flounder. He ended up reprising the role in the film’s short-lived TV adaptation, Delta House, the following year. Furst continued to work on a steady basis over the next few years, popping up on TV shows like The Jeffersons and Newhart. But he didn’t get his next big break until 1983, on St. Elsewhere as rookie doctor Elliot Axelrod. Furst stayed on the show for several years until he was killed off in the show’s sixth season. Other credits included Have Faith—Furst, Night Court, Chicago Hope, Melrose Place, Freakazoid and a co-starring role in the animated Toy Story spin-off Buzz Lightyear Of Star Command. One of Furst’s most beloved roles was on Babylon 5, as hapless diplomatic assistant Vir Cotto. Like most of the actor’s characters, Vir was good-natured and gentle; unlike his usual roles, though, he ended the day as a winner, out-manoeuvring his enemies and eventually being rewarded for his loyalty to his friends with victory in the show’s bitter and vicious political struggles. I/m a big fan of ‘Animal House’ and B5-Fairwell Flounder!…RIP. I am probably due a Babylon 5 rewatch. Delenn: [Delenn’s fleet arrives after Earth Alliance attacks B5] This is Ambassador Delenn of the Minbari. Babylon 5 is under our protection. Withdraw or be destroyed! Delenn: Why not? Only one human captain has ever survived battle with a Minbari Fleet. He is behind me. You are in front of me. If you value your lives, be somewhere else!